Welcome to the ICY ARCADE! Like any kid of the 1980's, video games were an essential part of life for me and thousands of quarters were plunked into arcade machines clustered within the smoke-filled din of places like The Goldmine, Barrel of Fun, Chuck-E-Cheese and even Pizza-Hut and Walmart. Much of my gaming was spent at the nearby convenience store (which was behind the house across the vacant lot) but we also had every make and model of home console gaming system from an Atari 2600 to the Sega Saturn. Since my dad was a TV repairman, we would often find ourselves with one of these modern marvels connected to one of our five sets. A few decades passed... Once I became a single dad, I found the old voices calling out for me again; it was Neo-Geo's (SNK) Metal Slug that did it - man, was it a crazy action-packed game that pulled no punches! I discovered that these old games could be played again using the MAME emulator on any PC. Now I never really got into modern console first-person 3-D shooter games like my brothers. They seemed really involved and focused on nothing but killing guys with guns in stunning high-definition. Not that I have anything against them, but give me a sweet and simple game challenge any day. What really ignited my interest was the ability for these old games to get my kids more involved and to bring us together. While many modern console games are generally a solitary endeavor, arcades were inherently social gatherings and the games were designed to be quick, exciting and interactive - uh, to take your money quick. My desire is to collect and restore old video game cabinets, on my own pace of course, and even stock a small arcade - like a "man cave." I've got the background in electronics, computers, woodworking and vintage gear restoration, so it should be a treat. I'm in the process of building a MAME game library using HyperSpin as the front-end and have plans to build an arcade-worthy cabinet which will play thousands of games (for free, of course.) Recently, I've been re-discovering pinball! Pinball machines were really not something that 80's kids played with. Even at that time, pins were 'slow' and it was something that old folks did. There has been a resurgence in pinball and new pins are still being released every year, hosting advanced PC control, special effects and LED lighting. 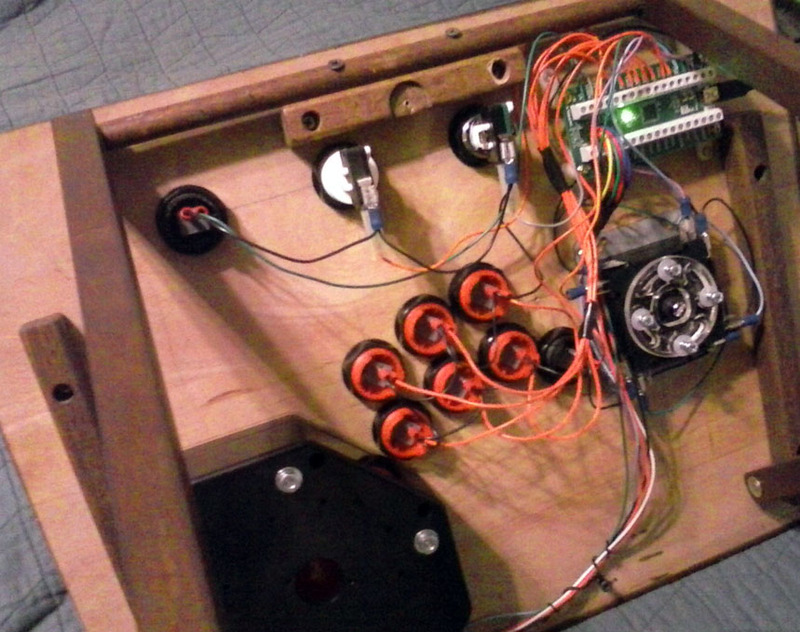 My cabinet will host one or two 3-D pinball simulators with awesome graphics, sound and life-like physics. 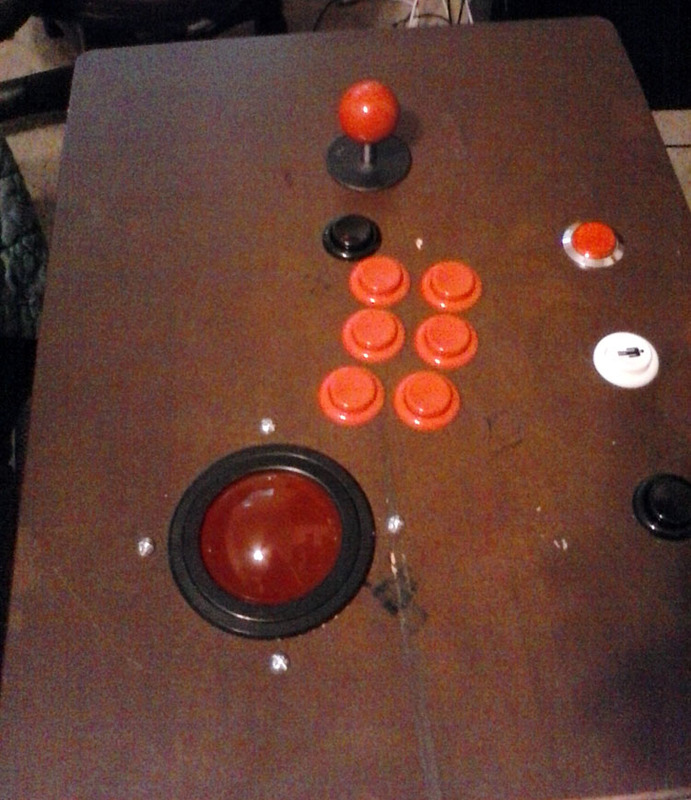 Shown here is my control panel experiment table. It's basically a cheap folding TV-dinner tray which allowed me to set up some actual arcade controls including a 4-way/8-way joystick, U-Trak tack ball from Ultimarc, and gold-plated leaf-switch buttons. Setting this up has helped in the 3-D design/engineering process with the design of my MAME cab where the controls will be moved to.